Here at Details, we want each one of our clients to have a kitchen that is unlike any other. We love that our custom cabinet line, Plain & Fancy, allows us to color match pretty much any piece of inspiration. We are now excited to announce that our semi-custom cabinet lines are following suit and processing custom colors as well! 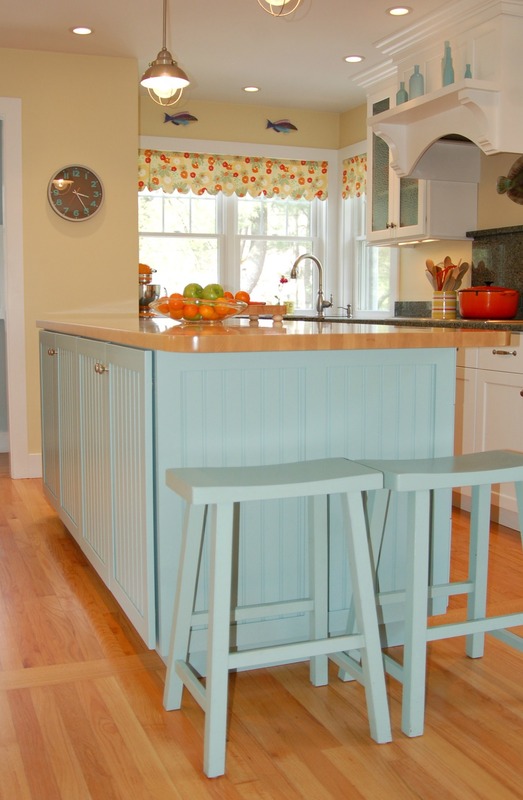 In this specific kitchen, our client wanted to achieve the feel of a Nantucket cottage here in Mattapoisett. We selected soft, ocean like colors, and kept it fairly whimsical, to keep the formality out of the space. 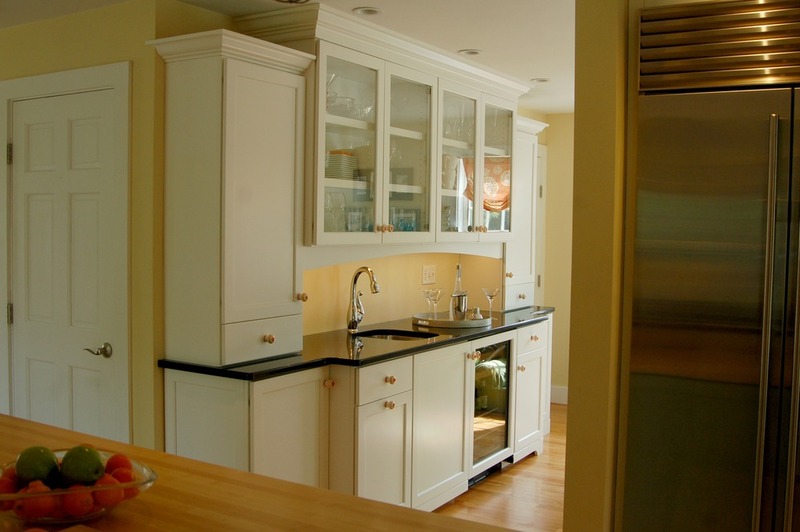 When our client was interviewed, she was so pleased that we were able to bring her dream kitchen to life. She also raved about the functionality of the kitchen. She loves how well the bar area in the adjoining room works for entertaining. It also keeps her guests out of the main cooking area. She also stated how much she enjoys the corner sink overlooking her back yard. Prior to the renovation, this space was the main doorway into the home. Everything was opened up and by doing so the house flows better and definitely seems more spacious. We are so happy to hear that we were able to create the kitchen of her dreams! Do you have a paint color or piece of inspiration that you would like to see in your kitchen or bathroom cabinetry? “Requests for custom color matches arrive at Plain & Fancy every day, often in the form of a paint or fabric swatch. Working with our encyclopedic color library, trained technicians with years of experience begin the matching process by selecting an existing base resin that’s closest to the desired shade. Using bench-top mixers, the base resin is blended with high-concentrate pigment tints, which are painstakingly measured out in 0.01 gram increments until the correct color is achieved. The resulting paint is then hand-applied to a pair of sample doors—one for the customer and one for our library—employing the same two-stage technique used on the production floor: first a catalyst is added to help cure the finish; then heat is applied to create an extremely hard and durable surface. Once the customer has approved the match, full-scale production can begin.